Aasmaya Rai, from the settlement of Diblibaya in the village of Jaleswori, donated a prime piece of land to the Janakalyan Primary School earlier this year. 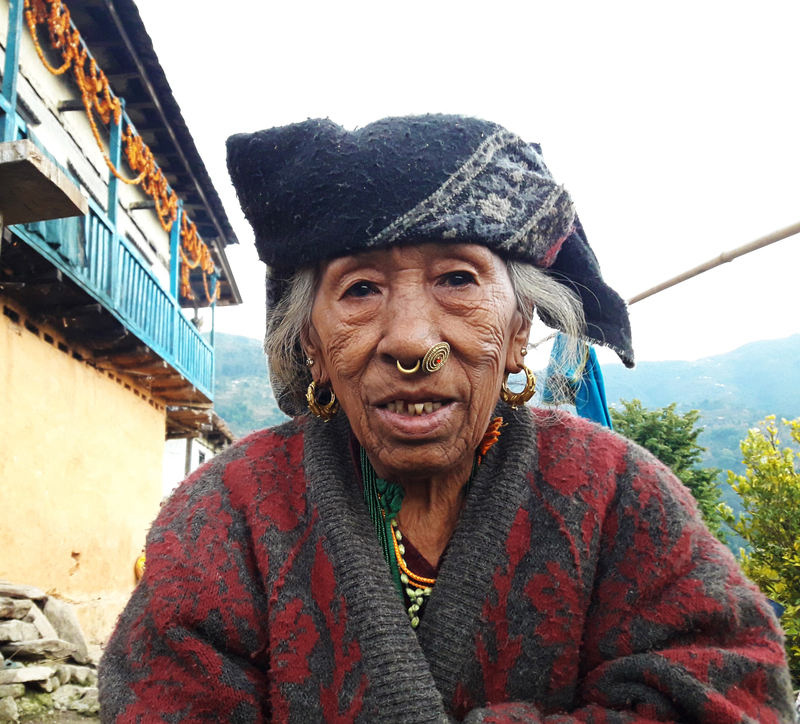 This fertile land was part of her “jiuni”- a tradition in Nepal where elderly people keep some land that functions as a retirement fund or nest egg. 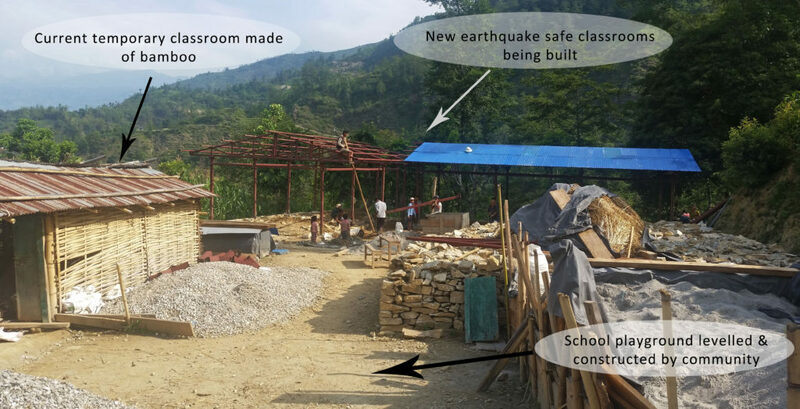 The original Janakalyan Primary School was badly damaged in the earthquakes of April, 2015. The damage was so extensive that the land the school was on was deemed unsafe for building due to giant fissures and risk of landslides. The community needed to relocate the entire school, and Aasmaya rose to the occasion. The local government pressured the community to merge this small school with the local high school – over an hour’s walk away. The community worried about the young children (most of whom are under the age of ten) being forced to walk such a long distance each day. Aasmaya’s land was in the perfect location, and with her help, Aasmaya and others in the village convinced the local government to keep it in the community. The community members then constructed a temporary structure out of bamboo on the land to keep classes running. 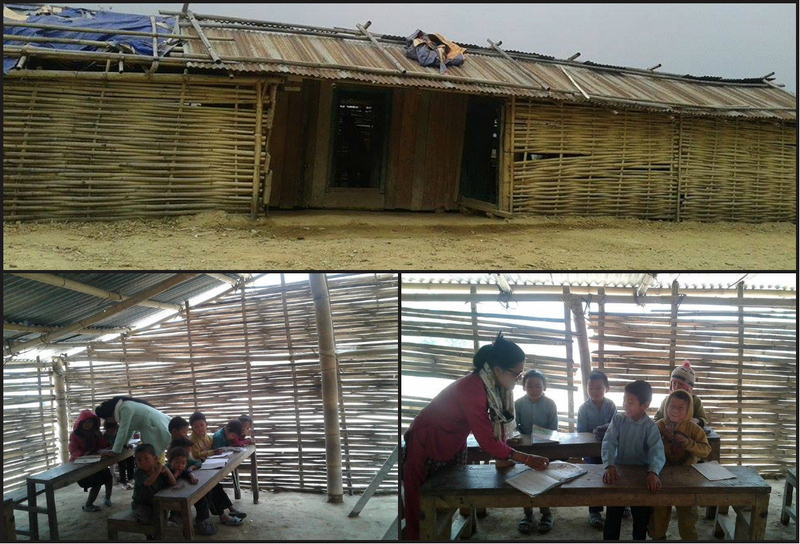 Students of Janakalyan studying in the temporary structure made out of bamboo. In August of 2016, we started a trial partnership in the community of Jaleswori as part of our deep development plan through a series of low cost starter projects. There are 11 different settlements like Diblibaya in Jaleswori and each settlement chose their own priority projects which was fully implemented by local community groups called “Community Development Groups (CDG). The people from Diblibaya chose to expand the playground for the school as part of their starter project. 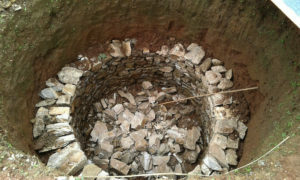 All the households of this ward donated five days of free labor for this project – totaling 184 days of volunteer labor. Our support totaled approximately $580, while the local contribution was valued at $1,125!! A community member carrying stones for the school playground expansion. 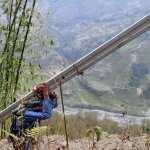 A community member works on a stone wall to expand the school playground. All of the projects across the entire village were very successful and showed similar levels of local initiative. All in all, the community members from these 11 settlements contributed 1239 days (equivalent to USD 7802) of voluntary labor to the various starter projects compared to the USD 5670 we had supported again making it true for here that the biggest single donor group of dZi is the community themselves. In December of this past year, we formally partnered with Jaleswori – committing to work together on a wide range of community projects for the next eight to ten years. 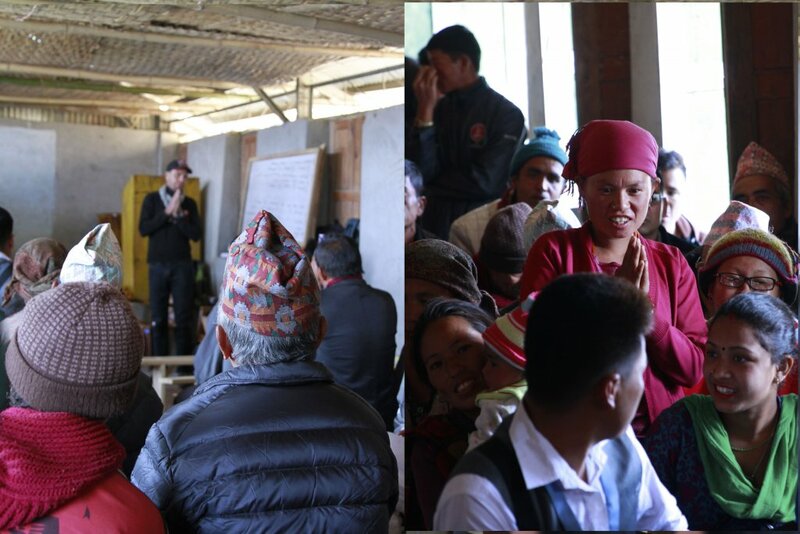 Our first step when we partner with a new community is to draft a ‘community contract’ where both dZi and community members spell out our needs and expectations over the long term. In this spirit, the entire village decided that the rebuilding of the Janakalyan Primary School – on Aasmaya’s donated land – was the very highest priority. In late spring, we broke ground on the new earthquake-safe school. 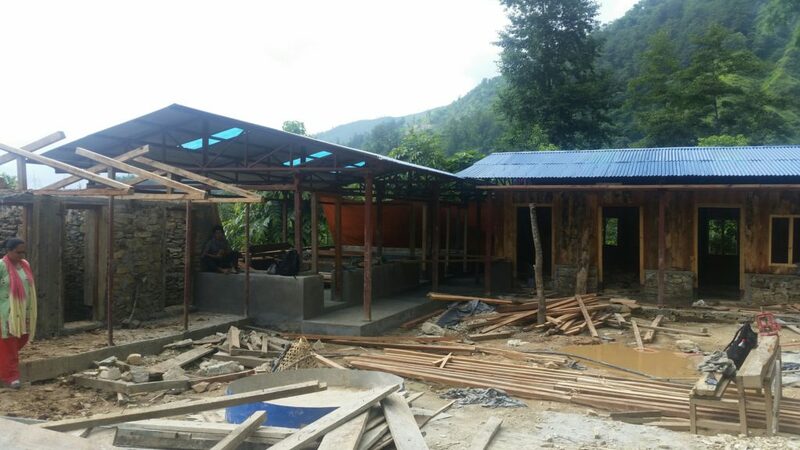 The school building is all set to be completed within the middle of August. The local contribution and community participation in this project has been as overwhelming as the starter projects. Despite the project’s late start, it has taken the community only six months to finish all the work. Alongside the school buildings, we are also constructing a small drinking water system within the school area and a toilet. 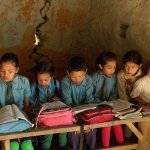 This will prevent the children from straying too far in search of water and will maintain the hygiene of the school environment and the students. 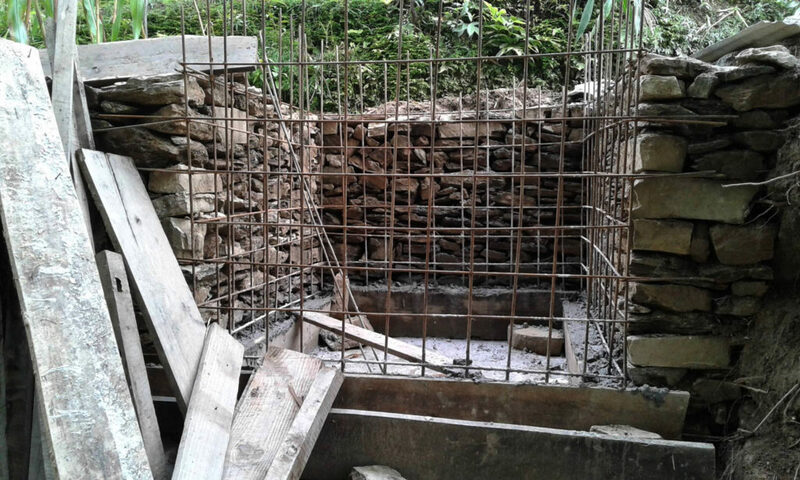 Structure for the water storage tank and toilet. The classrooms were almost finished when we took this photo in July last week. It has been an inspiring journey for us since we first stepped into Jaleswori. Thank you to people like Aasmaya who have shown us that local communities are the true heroes of community development. We look forward to many more years of such an inspiring and fruitful partnership with Jaleswori. 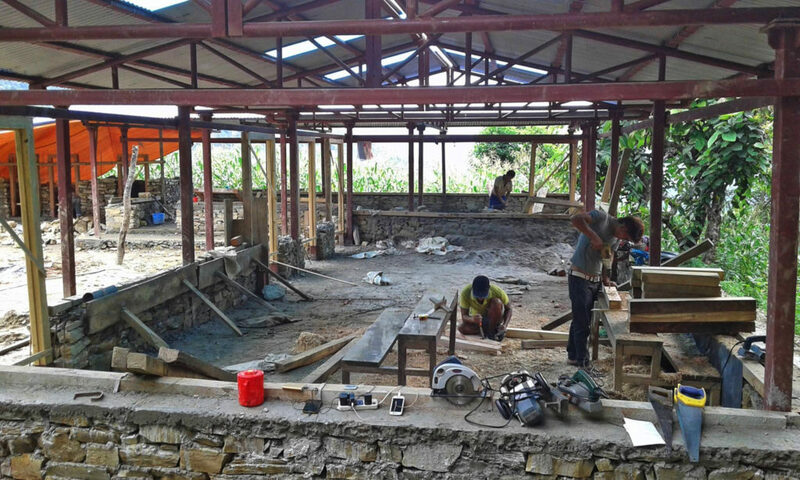 Meanwhile, stay tuned to our social media pages to follow the progress of the Janakalyan School.